In the Tamil Nadu region of India, Paul and Suja Phinehas serve as leaders of Gilgal Mission Trust, a member church of Mennonite World Conference. In August they shared with Bearing Witness some of the struggles they face as Christians in a predominantly Hindu society. Paul Phinehas’s grandfather worked as a healer in a Hindu temple, but when the grandmother developed a mysterious illness that left painful sores all over her body, he was unable to use his healing expertise to restore her. After three years of this affliction, Paul’s grandfather finally decided to visit a local Christian pastor for prayer. The pastor gave him some anointing oil and told him to return home and pray. When the grandfather returned home, he confessed Jesus as Lord and anointed his wife with the oil. Immediately the sores began to lessen, and three weeks later she was completely healed. In response the whole family converted to the Christian faith and began to attend the church where the pastor had first visited with Paul’s grandfather. Suja, Paul’s spouse and ministry partner, was the first member of her family to convert to Christianity, after she was healed from a demonic sickness. At first she faced significant opposition from her family, but after her father was healed from inexplicable chest pain and insomnia, Suja’s parents and siblings began to follow Christ. Together the family was baptized into the church four years later. For both Paul and Suja, their families’ conversions to Christianity came at the cost of relationships with their extended family. “Because of that, our family lost all the relationships with my aunts, uncles, etc. The people don’t want any relationship with us, because we became Christian,” said Suja. The situation is particularly difficult because many family gatherings and festivals are connected to religious Hindu ceremonies or practices. When Suja’s great-grandmother died, for example, her father was expected to mark the grandmother’s passing by performing puja–or Hindu prayer rituals–along with the rest of the family. When he declined, believing puja to be a compromise of his faith in Christ, the extended family rejected him and blamed Suja for her role in leading the rest of her immediate family to Christ. “This broke the hearts of the family,” she said. There is also an added level of social opposition, and some of the churches that are part of Gilgal Mission Trust have had stones thrown at their buildings and their windows broken. In the most dramatic incident, a group of radical Hindu young people interrupted a church service with the police. “Now we have [as our only] hope Jesus and the church,” Paul remarked. “There is no link with the world. So we believe the church and [other] believers are our relatives.” Indeed when individuals join the church, the church assumes many of the functions normally reserved for family–arranging marriages for Christian young people, performing funeral duties, etc. Yet Paul, Suja, and others from the church continue to seek fellowship with their families outside of religious Hindu pilgrimages and ceremonies. And they continue to pray. 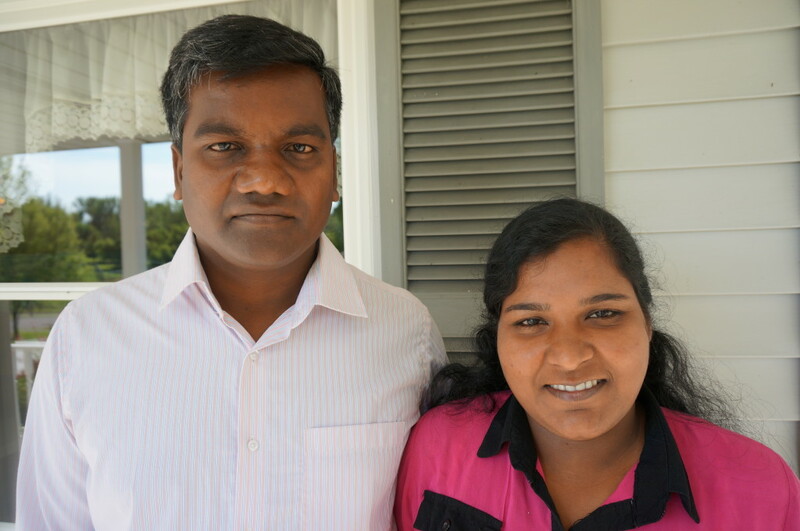 Paul and Suja maintain good relationships with many of their Hindu neighbors and are frequently approached with prayer requests. They see prayer as a vital link, connecting them to their Hindu families and neighbors, as well as to the broader church. Written by Elizabeth Miller. Based on a joint interview with Paul and Suja Phinehas on Aug 15, 2015. Great story about two of God’s servant leaders in India.